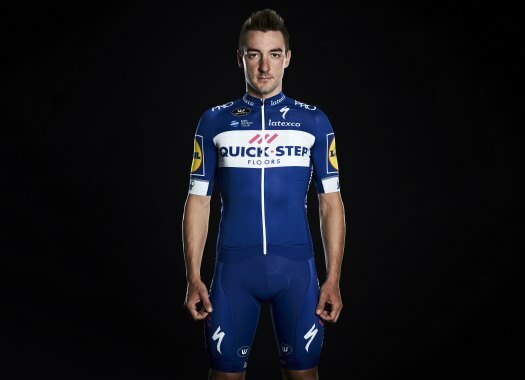 Elia Viviani praised his teammates and the Quick-Step Floors spirit after taking the win at the third stage of the Vuelta a España on Monday. The Italian easily outsprinted his nearest rivals, including Peter Sagan, to take his first win ever at the Spanish grand tour. "It was beautiful," he said. "I have no words for the team. To be the strongest is always difficult because nobody else wants to pull. Only Sky worked until the end of the long climb. We used Pieter Serry and Kasper Asgreen to pull all day. It was really difficult to control this kind of stage. "When you commit like that, 90 percent of the stage we are in one line in front to control the race, that's the main thing. That's the 'Wolfpack'. "Every day we go for the same goal. Yesterday we De Plus came close and today we were really determined. We didn't know if we could win or not because in the end it was 3000 meters of altitude. It was not an easy sprint but we know the Vuelta is like that." Viviani took this win wearing the Italian 'tricolore', which makes the moment even more special. "After a nice win last week in Hamburg, this is the first Grand Tour win (as Italian champion) and also my first stage in the Vuelta after finishing second a few times. I'm really happy with that."